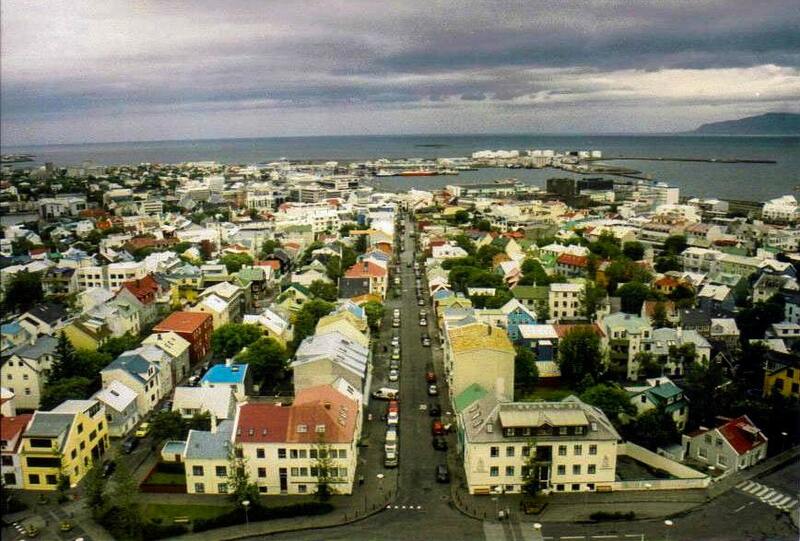 Your international flight to Iceland will inevitably land in the capital city of Reykjavik — one of the cleanest, greenest, and safest cities in the world. There’s plenty to do here, so take a few days to explore it, but if you want to really see what makes this island nation so magical, mystical, and memorable, rent a car and head out to see its natural wonders. These are my favorite things to see and do in Iceland. One of the world’s top five waterfalls, Gullfoss (“Golden Falls”) is a double-decker spectacle blessed with natural beauty and steeped in urban mythology. The Hvítá River plunges into a 105-foot-deep crevice in two stages: The first drop, at the falls’ widest point of about 800 feet across, is about 36 feet, and the second about 69 feet. From certain angles, the crevice is invisible, so it appears as if the falls just vanish into the earth. 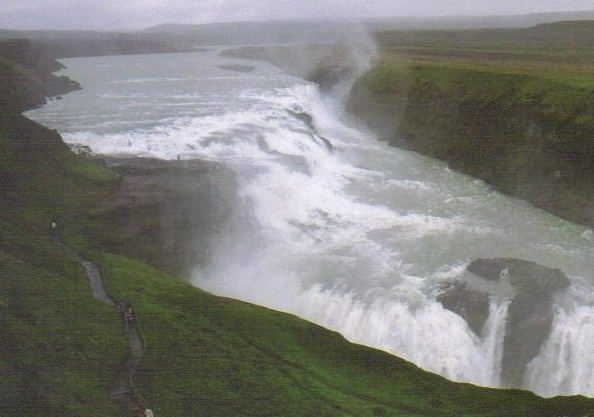 By volume, Gullfoss tops the list of the largest waterfalls in Europe, the force of which sends up rainbows and soaking sprays. 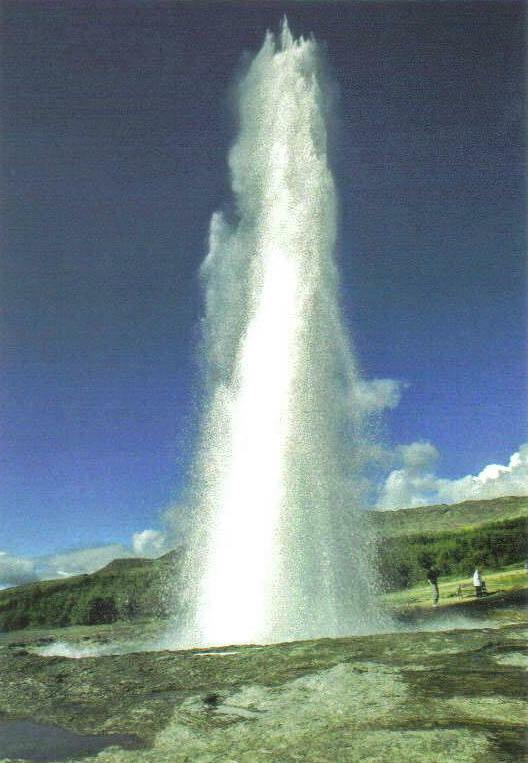 The majesty of these falls is matched by the romance of the legend of a woman who walked from the falls to the Icelandic capital, threatening to throw herself into the falls if they were sold to foreign investors who wanted to develop it to generate electricity, and by doing so prevented the sale. The truth? The investors didn’t have the money for their plans, and Gullfoss today is a protected treasure and one of the country’s iconic images. 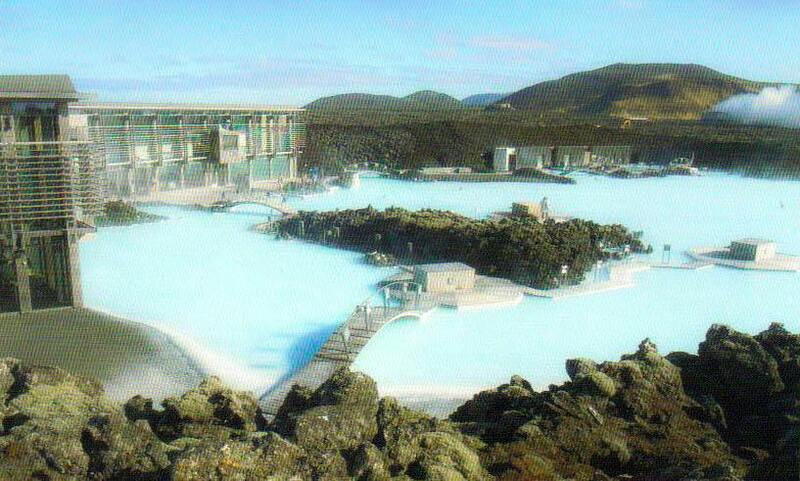 Spending some time at the famous Bláa Lóniđ (Blue Lagoon) is arguably the most touristy thing to do in Iceland. But it’s not for out-of-towners only; indeed, it’s a favorite with Icelandic folk, too, and it’s guaranteed to make a lasting impression. Situated about 15 miles from Keflavik International Airport, the Blue Lagoon presents a unique opportunity to immerse yourself in an enormous pool of milky blue waters that are rich in blue-green algae, mineral salts, and fine silica mud. Little clouds of steam rising off the hot water drift past you, and no matter how cold the air temperature is, every part of you from the neck down will remain perfectly comfortable. The Blue Lagoon owes its existence to a nearby geothermal plant that’s powered by superheated seawater drawn from deep bore holes in the surrounding black lava flows. After the steam passes through the turbines, big condensers convert it back into water, which is then channeled into a huge artificial lagoon with temperatures of about 100°F. If you’re here for only a few hours, find yourself a little protected cove in the salutary water that will do wonders for your skin, away from the larger crowds and a brisk breeze if it’s blowing, and make a little time to enjoy a wonderful lunch on the property. If you have more time on your hands, overnight here and make the most of the accommodations and the extensive spa services. One of the architectural highlights of Reykjavik, the northernmost capital in the world, is Hallgrímskirkja, the tallest building in the city and the second-tallest in Iceland. This enormous Evangelical-Lutheran church, named after a 17th-century clergyman, took 41 years to build and tops out at about 250 feet. Completed in 1986, it’s a modernist structure with a stepped concrete façade designed to resemble the shapes created when lava cools into basalt rock (formations you’ll find around the island once you leave Reykjavik). The austere all-white interior is devoid of the clutter of, say, the Gothic or Baroque churches of Central Europe, allowing you to fully appreciate the few details that do exist: the Icelandic basalt and Czech crystal baptismal font, for instance, and the nation’s largest organ. The church’s main draw is the observation deck at the top of the steeple. An elevator will whisk you up to this blustery level from which you’ll be beguiled by 360-degree views of the entire city and its colorfully painted homes as well as the surrounding mountains, nearby islands, harbor, and the Atlantic Ocean — a panorama that certainly ranks among the world’s best. Puffins automatically fall into the too-cute-for-words category. You can’t help but be charmed by these adorable black and white birds, with their colorful beaks, heartwarmingly sad eyes, and bright orange webbed feet. These stocky little birds look a bit unsteady when they’re flying (like an airplane attempting to land on a gusty day), but they’re powerful swimmers and can dive down nearly 200 feet to find food. Puffins live up to about 25 years. They’re monogamous throughout their lives and renew their relationships every spring at the same nesting hole. 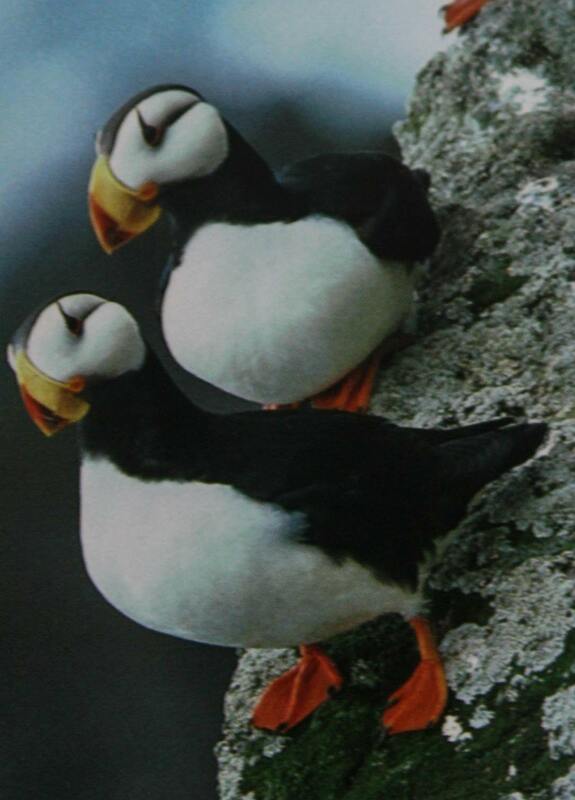 One of the best ways to observe some of the 10 million Atlantic puffins that call Iceland home is aboard the Puffin Express’ Skúlaskeið, where you will be thrilled to see thousands of them nesting on, floating around, and flying above Arukey island just outside Reykjavik Harbor. This inexpensive hour-long trip sails you as close as possible to nesting colony islands — but binoculars or a strong camera lens will bring these endearing creatures even closer for your enjoyment. If you’re a little wary of choppy Atlantic waters, you can also look for these “clowns of the sea” on land, at the Látrabjarg cliffs or the tremendous stone arch of Dyrholaey near the town of Vík. No matter which location you choose, you’ll instantly feel happier as soon as you see them. Iceland is a realm of extremes, where some of the world’s great hot spots and cold pockets coexist, sometimes not so amicably. Driving around the island, you’ll spy plenty of examples of the more scorching side, with boiling water erupting from geysers and clouds of steam rising from hot springs and dissipating into the air. More than 100 active and extinct volcanoes rise up from the country’s barren landscape. Lava fields and veils of ash attest to Iceland’s turbulent geology over many centuries, from eruptions thousands of years ago to those only a few years back, when heavy clouds of ash and smoke violently disrupted air traffic to and from Europe. On the opposite side of the thermometer, snow-covered mountains and frozen lakes make for a wintry wonderland for many months throughout the year, but Iceland’s 269 named glaciers — including Europe’s largest — are year-round attractions. These white and blue frozen expanses cover about 11 percent of Iceland’s land area and provide opportunities for hiking and ice climbing. Nowhere do hot and cold seem to collide more dangerously than in the village of Vík, where the Mýrdalsjökull ice cap rests atop the Katla volcano: Should that volcano erupt, not only would Vík be devastated by lava and ash, à la Pompeii, but also by the ensuing flash flood of melting ice large enough to wipe Vík off the map. Set sail for some whale watching. Be mesmerized by the aurora borealis. Enjoy a fantastic meal at Argentina in Reykjavik. Combine nature and history at Þingvellir National Park. Visit the hobbit-friendly turf farmhouses at the Skógar Open Air Museum.